At Max Funding, we are very pride on our high level of client service. As a result, we continuously receive feedback from our happy clients; below you can see what our clients has to say. Constant happy client feedbacks Australia-wide. See for yourself at our 100% legitimate and verified feedbacks. I am extremely happy with your service and will be recommending Max Funding to all my friends and family members – especially those in the process of establishing small businesses. The speed of your process is fantastic and something that I have not seen in my 18 + years with Nab. I am now in childcare where speed is of optimum importance. Thank you very much. Thanks for your help and easy no fuss application. I will consider your loans again cheers. I would like to thank you so very, very much for your assistance in helping me, as an owner, to navigate through a very difficult time for me. I have never experienced such a high degree of communication as I have experienced over the last few days while applying for the loan. Every step of the way, was a message on my mobile, to check my email. The staff were helpful and pleasant to talk to. It was very quick and easy to obtain the loan. If ever I need help again, I will certainly ask Max Funding for help. Thank you once again. As a Small Business owner that has only recently started trading in April this year (2014), I was finding it hard to find someone willing to give me a small loan for a bit of extra cash flow in case of emergencies. ie; advertising, new equipment or unexpected bills, payroll etc. Most of them wanted 12 months of trading history. Max Funding quite happily helped me out without hesitation. I sent them all requested documents and funds were deposited straight into my account. Thank You for giving a New Small Business Owner a Go. Highly Recommended. Your service was quick patient and very friendly. Thank you for you service, its ben so grateful and helpful, I'm very happy, we ben in hard situation and you save our home, I'm going to use this company in a future, I well recommend to all my friends. you service is the best, good work Thank you to Jaylina and all team. I found my experience pleasant, the staff were helpful, the process was easy to follow and I was kept updated through out the entire process. Fast and professional service. Thanks again for the help. Your Service was excellent. Once again, thank you. Excellent service, guys thank you so much for your help. Absolutely fantastic im so happy with your prompt efficient service cheers. Great service and would definitely recommend to family & friends. Thank you....I am satisfied with your service and help. My experience dealing with Max Funding was really good & fast. Will definitely recommend the service to others. Thanks. Thank you for the wonderful service and your personal touch, all your operators were friendly and very helpful, cheers. My experience with your company was great! Plenty of correspondence letting me know how my application was going, also very quick approval. Thank you very much. I am happy to say that you guys have done a great service, efficient, friendly, I have a called a couple of times and had my questions answered, I will not hesitate to recommend you. Thank you for the great service. Cheers. Thank you so much I would recommend everyone go to get business loans of you. I would like to thank you for your service, every process from start to finish has quick and easy and prompt. Thanks for your fantastic service. Thank you, your team seems very component and willing to help. Experience was excellent! Will definitely recommend Max Funding to my friends.Thanks. My business is specialised on musculoskeletal therapy and physical training. Nothing i can say about your service all honest and straight away to the point , and every time I apply for money , the procedure goes smoothly and it does not take 3 days to get things finalised. 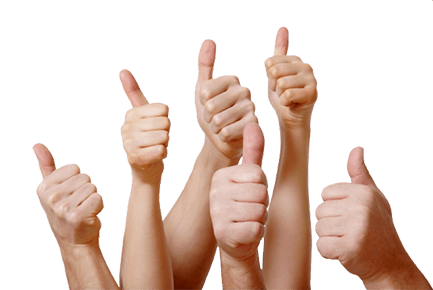 The main theme running through all of the client reviews we receive is one of complete customer satisfaction: just by looking at the small selection on this page (taken from the many reviews we receive), we think you will agree that it is easy to see we are doing everything right as far as our AU customers are concerned. But what can an individual Max Funding review, or a whole heap of reviews, actually tell you about our organisation and how we operate? Is Max Funding Legitimate? - You might think that a company with our history and record of achievement would no longer have to worry about questions such as this but when it comes to small business finance providers, it is always sensible to err on the side of caution. As you can see from the glowing reviews we receive, we are 100% legitimate (and as a registered business in Australia, you can be sure we comply with all relevant rules and regulations). Is Our Service as Fast as We Claim? - Many prospective customers find it hard to believe we are really able to process applications as fast as we claim but you can see from our reviews that this is indeed the case. Are Our Terms Really That Flexible? - Yes, we really do consider applications from less well-established businesses and from those with less than perfect credit scores, as you can see from the Max Funding reviews on this page. Is Max Funding legit? All our satisfied clients say Yes! Click below to apply for your loan today.